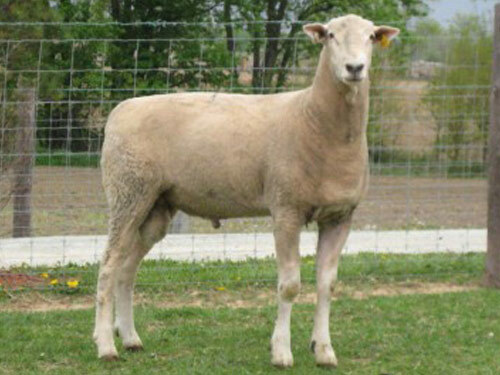 Montadale sheep were developed in the United States from Cheviot and Columbia sheep crosses. E.H. Mattingly, a well-known commercial lamb buyer is given credit for developing the breed. His idea was to bring together the qualities of big western-white faced sheep and the popular mutton characteristics of Midwestern sheep. His result was a good meat type, dual- purpose animal with the head and legs free of wool and with the stylish appearance and agile body of the Cheviot. For fifteen years, many of these Montadale lambs were carcass tested for characteristics which are now the standard in the industry, but which at that time were yet to become widely accepted as the ideal. Montadale sheep are considered a dual-purpose breed noted for producing both high-quality carcasses as well excellent wool.